I know that there are people out there trying to create molas and then selling kits, others trying to sell embroideries with mola designs and none of the work of the Kunas can be reporduce that is their own wisdom, there are laws that protect their work. I have to say that even do they try, the work can not compare to the molas of the Kuna Indians of San Blas, Panama, especially because mola(s) are work on a reverse applique technique which is a very difficult and it does required a lot of experience and knowledge. The molas that I present to you through my website are the authentic Mola Work and it only come from the Kunas (Gunas) of San Blas Panama. Planning to travel to Panama or to San Blas Islands, I can arrange your trip to Panama to include a visit to the San Blas Islands, We will book you a hotel in the islands/food, along with all the tours within the communities (tour guide available). Tour can include bird watching, snorkeling, beach, river tours, daily life in the islands, a day to observe how the women make molas and the opportunity to shop for molas. USA, Canada, Europe are welcome to discover the beauty of the San Blas Islands, Panama. Mola Art and Craft offers the best selection of Molas and Mola Accessories. The molas that I offer on my website are molas with fabric in very good conditions, where the fabric doesn't look faded, the stitching is amazing and all handmade with a great variety of designs. These are handmade by the Cunas in the San Blas Island, no reproduction- all original, molas that will last for many years and that you will be happy because you made a good investment. Don't forget to shop for Kuna fabric. 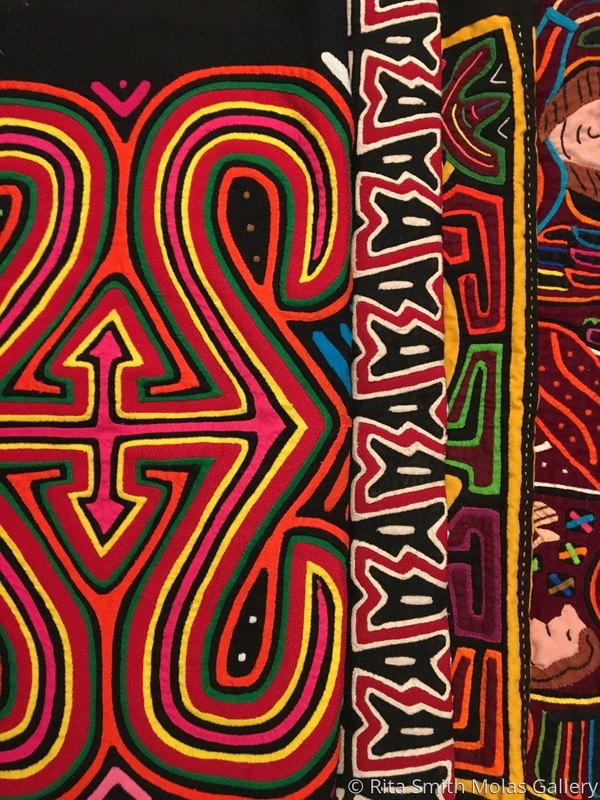 Molas are a form of art expressions from Panama and they are museum quality. Note: If you are ordering several items, write down the item numbers and e-mail me, and then I can e-mail you an invoice for all the items that you need to purchase. If you like a particular design, don't hesitate to purchase the item, because every piece is unique, they sell fast and you will never find another one exactly the same. Customers who need their items to be mail in 1 or 2 days (maybe because is a wedding gift or birthday), please e-mail as soon as you complete your purchase and let me know, this will be the only way that I can overnight/express mail the package to you. Once you enter my website, locate the word "Mola Gallery" at the top bar, or either you can click on any of the three pictures that appear below the title "our company", once you are in the gallery, you will see all the categories, please select one, next locate the word "view all items" click there, select the item that you want and click on. Use your mouse to scroll down in order to find the button "ADD TO CART" in order to purchase the item. If there is no "ADD TO CART" and you see the word sold, it means that the item is sold out. If you want to change category, right before "view all items" there is a tab that says "select category to view" and an arrow next to it, point your mouse on the arrow. If you have any trouble navigating through the site, you can call me Tel. 937-422-5683. I just want to remind you that the contact link with my e-mail on my website is exclusive for business(customers), therefore it can't be use for any other purpose. Thank You! What can I do with a mola? you can frame your mola, make a quilt, show and tell quiling show, tablecloth, pillow, wall hanging, table runner, perfect for any gift occasion. Sorry, at this time: "Mola Patches are completely sold out"
Note: If you are getting any ideas from the mola designs within my website to inspired a quilt(s), remember to give credit to the Kuna Artist "the creators of the molas". I found your article on the details of the mola technique extremely educational. I look forward to learning more.